Hey guys! 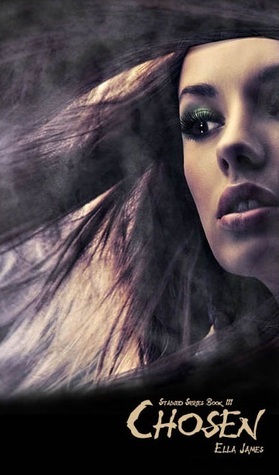 Today I wanna tell you all about the fourth book in the Stained Series by Ella James. I am also featuring an interview with the series’ two main characters, Julia and Cayne. 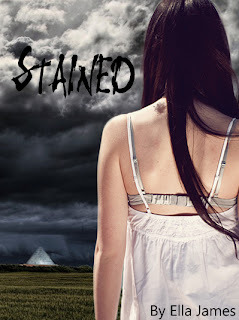 We will also giveaway a signed, print copy of Stained! First, let’s talk about the first books in the Stained Series! With Cayne’s fate in the hands of his enemies and Julia spirited away to the covert Stained compound, the two are separated by impenetrable walls and a gulf of unanswered questions. Soon Julia learns the truth about the Stained and the plans they have for her, the compound is attacked, and a new group is running from an unwanted destiny, searching the globe in pursuit of the knowledge that just might save them all. AND THE FOURTH BOOK IN THE SERIES! Hey Julia and Cayne, thanks for joining me on my blog today. I have a few questions for you guys. First one is for Julia. After your life was destroyed by the fire, Cayne LITERALLY came crashing into it. What was your first thought upon seeing a hot guy randomly come through the ceiling? And Cayne, you came down to fight Samyaza, not exactly to have a girl to protect. What about that? *shrugs* I wanted her gone. When I realized she had healed me, I knew I didn’t want to get tangled up with her. I just wanted her to get away. You guys’ relationship was rather awkward at first–Cayne was rough and Julia was a bit clingy. How did yall get through that? “I got the answers out of him,” Julia says. Cayne puts his arm around her, giving us a rueful smile. Julia, obviously Cayne was something…otherworldly. Were you scared of him at all? Sometimes I was, I guess. But not really. Overall, I knew he wouldn’t hurt me. I could kind of tell he was a good guy. During the road trip, you guys seemed to bond a lot. Cayne, was it hard opening up? Another trademark Cayne shrug. He rubs a hand over his short hair, looking reticent. What do each of you think the future holds? Julia bites her lip. “I don’t know. Hopefully something good. More Cayne,” she says – though it doesn’t sound like she’s totally convinced. “As much as she wants,” he says, a shade too serious. “We just have to find a way to get around The Three,” Julia says quietly. At the beginning of Exalted, that’s looking harder than ever. To find out more about Ella’s projects and get exact dates on her upcoming releases, friend her on Facebook at facebook.com/ellajamesbooks and follow her blog, ellajamesbooks.blogspot.com. Questions or comments? Tweet her at author_ellaj or e-mail her at ella_f_james@ymail.com. You can win a SIGNED PRINT COPY of Stained, the first book in the series. Tomorrow the tour continues over at Books 4 Tomorrow – www.bookstomorrow.blogspot.com – featuring a Q&A, snippet from Exalted, and a Chosen ebook giveaway. Posted on August 25, 2012, in book tour, books, Giveaway, interview, promo, reading. Bookmark the permalink. Leave a comment.